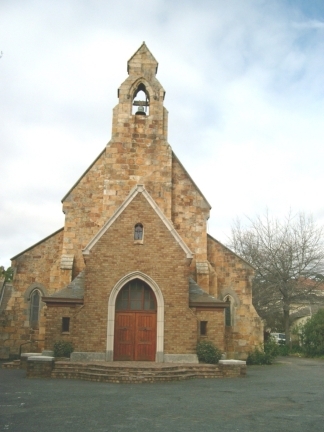 The Church acts as the host church to the UCT Chaplaincy and the congregation includes many students and university staff members. Many faithful parishioners whose families had been moved out under the Group Areas Act are still regular worshippers, as are many who attended the Mission School. St Paul's has over the last few decades become a centre of high-church and traditional worship with emphasis on good music. This has occurred because of the fine three-manual organin the west-end choir loft. Our Sunday services offer a diversity of worship. The 8.00 a.m. Eucharist is a more introverted service with hymns and sermon, following the Anglican Prayer Book 1989 rite. The 9.30 service has the choir in attendance and a choral setting of the ordinary is sung together with the hymns, psalm and usually a choral anthem during the distribution of the Blessed Sacrament. 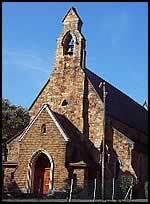 It too follows the Anglican Prayer Book 1989 rite. Every Sunday during the university term, the Chaplain runs a less formal service at 11 a.m. This service (also usually a Eucharist) has many songs in the vernacular and of a contemporary nature. Often interesting (and sometimes controversial) preachers are invited to this service in order to stretch the active minds of the students attending. This service is also Parish Worship and thus open to all. On the last Sunday of the month the choir sings a full choral Evensong (check the calendar to see the music list for the next Evensong Service. Weekday services are shown on the Services page. 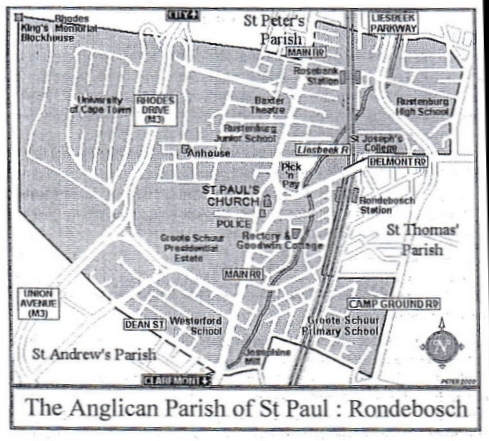 Our parish covers most of Rondebosch above the railway line as well as parts of Newlands, Rosebank and Mowbray. Not too much attention is paid to where parishioners live in relation to parish boundaries. What is more important is that they have their names on the parish roll as members. If you are interested in joining our parish, please talk to the Rector or ask the Parish Secretary for a membership form.